The past decade has seen several Oil & Gas operator technologies advancing quickly in performance and declining rapidly in price. Since the turn of this century, productivity growth has become an increasingly prominent government priority. The past decade has seen several Oil & Gas operator technologies advancing quickly in performance and declining rapidly in price, and they are believed to hold the key to enhancing industrial productivity in the sector. These include IoT, remote sensing, data combination and dissemination, cloud computing, autonomous vehicles, industrial internet, additive manufacture, block-chain, analytics and artificial intelligence. Together they form the foundations of what is commonly referred to as the 4th Industrial Revolution. In line with this revolution, 2017 has seen huge investments into digitalisation in the industry. Statoil unveiled its 1Bln Kroner digitalisation initiative, BP invested $20m in an AI company called Beyond Limits and GE forecast that their digitalisation platform will be part of a $6Bln revenue stream by 2020. All over the world Oil and Gas operators are announcing digitalisation projects, and it’s also interesting that digitalisation now rarely reports to the CIO. instead this technology adoption is owned and driven on commercial imperatives by the COO. No longer is digitalisation seen as a pie-in-the-sky IT project, it has been recognised as a key operations strategy component. So what has changed, what’s happening, why is this important and what should you do about it? 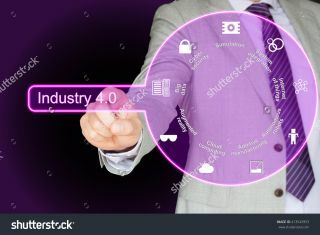 The term Industry 4.0 was coined at the World Economic Forum in Davos in 2015. It has been the subject of large investments by governments, most notably Germany, which is closely followed by the UK, Norway and USA. 2. It reduces the number of activities undertaken through greater understanding of the current situation, options for intervention and confident prediction of outcomes. There are parallel adoption processes underway. The first (operational digitalisation) is practical and delivers immediate benefit, the second (strategic digitalisation) is long term and addresses structural change. Operational digitalisation is action-focused. It revitalises aging assets and increases productivity. It delivers results within each budget cycle. This works because oilfields are already alive with data. With small changes, it is possible to know the up-to-the minute operating environment and risk stance (including the status of barrier functions). This can be used to safely enhance daily routines to cut waste and increase uptime. Strategic digitalisation is a long-term structural approach that focuses on changing the way a plant is designed, built and operated. Strategic initiatives benefit from shared industry standards; however new methods will take time to work through the system and be adopted. These projects tend to be large and company-wide – and they also promise a large impact. Unfortunately, they are not much help to the COO seeking to improve existing plant’s and this year’s operating margin. The pay-off is longer term. Alongside spreadsheets for production forecasts, most installations have digital control rooms, collect live equipment performance data, and have computerised maintenance and automated control-of-work systems. Operations use integrated planning, competency registers, rotation plans, warehousing, logistics co-ordination, helicopter schedules and weather forecasts. Integrity is maintained through records of well-integrity, physical inspections and process safety. Well-performance tests are captured and stored. Operations does not lack knowledge about what is going on, nor does it lack knowledge about what to do and how to react. What it misses is the ability to get the right information to the right people so they can make real-time decisions in a complex, interlinked environment. Advances in technology mean it is now possible to easily access, combine and make sense of separate operational data deposits and to infer relations and consequences. This means operations have an opportunity to unlock digitalisation benefits by stitching together what is already available and by making it available to a wider team. Arguably this may not provide all that is promised in the future by the more elaborate AI and Automatic diagnostic systems, but it is practical, provides tangible real-world benefits and is quick. Better yet, it’s not an all-or-nothing bet as it can be deployed incrementally by balancing benefits, achievability and cost at each step. While there are general similarities between companies and their assets, each has a slightly different technical set-up. Every organisation operates slightly differently and has its own value priorities. Success requires implementing high-impact, valuable activities that cause minimal disruption. The initiatives selected are likely to differ between assets. Finding a valuable approach relies on identifying opportunities to create benefits, understanding current technical capabilities, discovering what people and processes are in place, highlighting options for change and considering what steps would be required to implement. The most valuable approaches are those that balance benefits attainable against technical risk and ease of changing working practices. Some plant and equipment measurement systems, especially real-time instrumentation and alarms, become degraded over time because of maintenance backlog and reduced investment. Normal IT services may not be able to address this quickly. Consider updating systems and engaging specialist services to restore existing digitalisation to a healthy state. Specialist companies focusing on real-time control systems can provide a quicker, more knowledgeable service than those available from pure IT companies. A blue-print for assessment using templates, maturity models, and a standardised approach can accelerate steps 2,3 and 4. Many of the large consultancies such as McKinsey, Accenture, PwC, Deloitte and EY have methodologies that can be adapted to Oil and Gas. There are also specialist niche providers like Step Change and V4 Associates who only work in Oil and Gas. Certain software vendors work alongside internal teams to help clients perform these steps in-house. Proven platform technologies can increase the chances of success at stage 5. There are cases to be made both for specialist providers and for general platforms, provided by the likes of IBM Watson, Microsoft Power BI, Siemens, GE and Oracle. Whilst there is no right or wrong answer, there are a series of trade-offs and future assumptions that should be balanced, and a road-map should be defined to capture immediate benefits without sacrificing longer-term efforts. Implementation does not stop at the technology. There are working practices that will need tuning. Many companies address this themselves without external assistance. No matter how you choose to address it, this step should be carefully planned and resources assigned to it. A rigorous methodology and independent assessment in stage 6 will inform the pace of future investment and control the speed of change. It does this by assuring value is delivered at each step, and learning what methods to change so that operating procedures work best. The parameters for measurement should be agreed prior to implementation and the conduct of the measurement should be free from interference. If you don’t currently have a digitalisation programme underway, it may be time to examine the opportunities that are available to you. If you are currently executing a digitalisation programme, it may be best to divide the initiatives into operational and strategic so that their approaches and value measures can be managed differently.